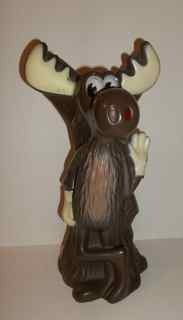 Rare, vintage Bullwinkle J. Moose plastic bank from the 1970's. He is 12" tall and full color. Excellent condition.